Splashdown! A hiker enjoys the waterslide along Cedar Run-White Oak Canyon. Fast forward to today and the Shenandoah Valley holds the same lure for those dreaming of an escape from the hot and humid weather. 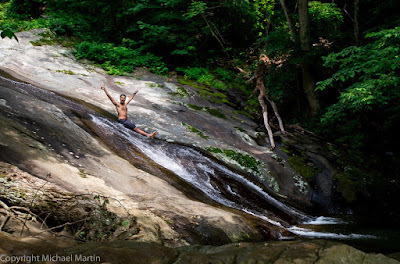 The authors of the brand-new guidebook AMC’s Best Day Hikes in the Shenandoah Valley share five of their favorite hikes with spots perfect for cooling off. (Psst, the book is now available in AMC's online store with a 20% member discount). All of these hikes — and 45 more — can be found in AMC’s recently released Best Day Hikes in the Shenandoah Valley. 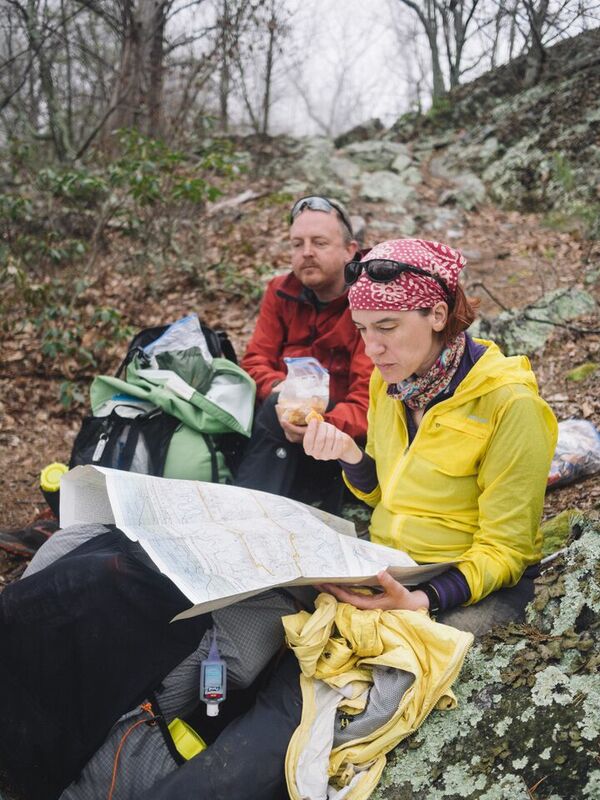 Author Jennifer Adach is a co-organizer of the DC UL Backpacking group. She has thru-hiked Sweden’s Kungsleden trail and the John Muir Trail, and has logged several thousand miles on trails in the Mid-Atlantic area. She lives in Alexandria, Virginia. Author Michael R. Martin is a lifelong backpacker and outdoorsman. 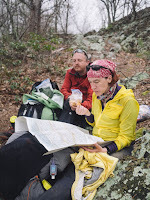 Author of AMC’s Best Backpacking in the Mid-Atlantic and contributor to AMC Outdoors magazine, he also leads, organizes, and teaches for the DC UL Backpacking group. He lives in Alexandria, Virginia.